You know what they say: You never forget your first. First RSS news reader, that is. 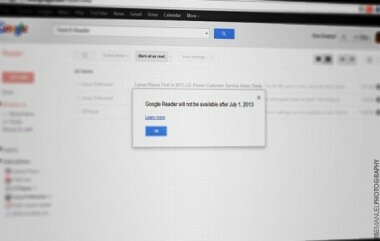 And for many people that was Google Reader. 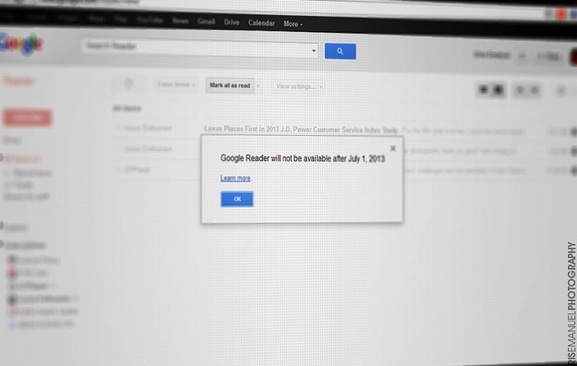 Now Google is shutting down its reader on July 1, leaving users feeling abandoned and dismayed. Well, as the wise Garth once said in “Wayne’s World,” get over it — go out with somebody else! There are plenty of other news readers in the sea that let you hand-pick your favorite websites and put them all into one easy-to-read feed. It’s hard to see it now, but they might even be better. Some are app-focused. Others are desktop news readers. You’ll find what works for you. Before you head out, though, don’t forget to grab your stuff: Go to Google Takeout here and click “Create Archive” to export a list of all the websites you chose to subscribe to. Download. Save the XML file. Keep it in a safe spot. Don’t look at it too often. You’ll trash it when you’re ready. Okay. Time for your brand-new reader life. Feedly is free to use. Originally created as a Web browser extension, it now offers optimized mobile apps for both iOS and Android. It integrates with a handful of other, key news reading apps — like Reeder, Press and Newsify — so you can access your saved Feedly feeds from those apps. It also shares to the usual social networking suspects, as well as to Evernote, Instapaper and Pocket. Feedly seems to be the most well-rounded of the alternatives out there. And it’s certainly prettier than Google Reader (and yet, still simple). Give it a spin. Newsblur. Newsblur might be the sleeper pick of the bunch. It has been around since 2009, and maybe never looked that appealing before, but now … get in line. Literally. When I tried to sign up for Newsblur, I was told there was a waiting list of 1,525 people ahead of me. One interesting feature of Newsblur is something it calls “Training,” which is really another word for personalization. But, going beyond just liking or disliking, Newsblur wants to know specifically what turns you on or off. You might like the topic, but maybe you don’t like the writer. 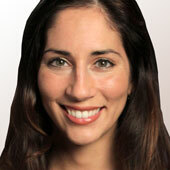 Maybe you love reading the Atlantic online, but you don’t want to read about Sean Parker’s wedding ever again. And so on. By doing this, you can eliminate some of the clutter that arises in even the most streamlined RSS feeds. In fact, in this PCWorld write-up of Newsblur, the author calls it “everything Google Reader should have been, had Google taken a more lasting interest in it.” Zing! Flipboard. This one seems obvious, doesn’t it? Maybe you’ve already been using Flipboard on the side. Well, while you were busy with Google Reader, only turning to Flipboard when you were looking for a little social relief, Flipboard has done some cool stuff. And it’s looking gooood. If you aren’t super familiar with Flipboard, here’s what you need to know: It’s primarily a mobile app, working on both iOS and Android devices, though you can “flip” things from the Web. It makes beautiful sense of all the news websites and links it finds in your social circle, pulling in from Facebook, Twitter, YouTube and more, and presenting the content in an easy-to-read, magazine-like format. You can also share Flipboard content to Twitter, Facebook, Google+, LinkedIn and Tumblr, to name a few, although one downside is that email shares prompt the recipient to download the Flipboard app instead of just showing them the goods. And the reported Facebook news reader. Happy hunting. Let me know what you find.